It may be interesting enough that a former military barracks turns into a showcase for art each September on Governors Island in New York, but this year’s fair features a real first for the slow movement: the inaugural Slow Art Day art fair exhibit. The idea to bring Slow Art Day to Governor’s Island began last spring, when one of the founders of the fair, Nix Laemmle, attended the 2012 Slow Art Day Chelsea gallery tour hosted by Alison Pierz. Excited by the concept of Slow Art, Nix told Alison that bringing it to the fair could add a new dimension. After brainstorming with Slow Art Day founder Phil Terry, Alison and Nix then decided to not only promote the concept of looking slowly but to create a Slow Art Day room at the fair that would feature artists focused on slow working. As a result, Slow Art Day’s first-ever art fair exhibit features six artists who create slowly. Estonian artist Jaanika Peerna is particularly invested in the slow movement, and her complex graphite drawings express that. 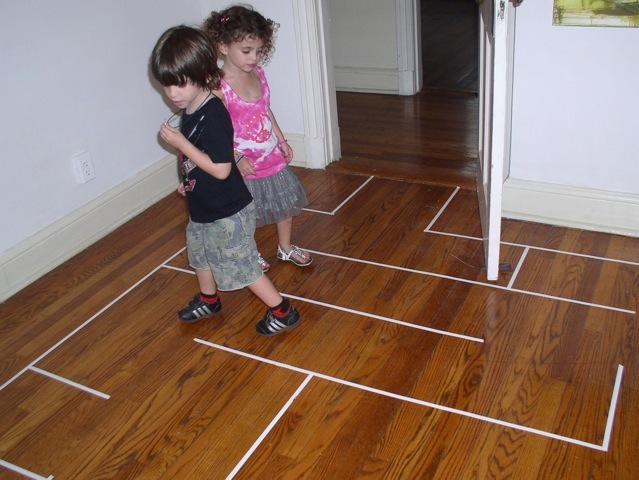 In addition to her slowly-made graphite drawings, Peerna created a maze on the floor of the Slow Art Day exhibit, which has succeeded in slowing visitors down as they enter the room. A maze along the floor of the Slow Art Day room helps viewers literally slow down to view the art featured there. Hong Seon Jang, the second featured artist, works with Scotch tape. 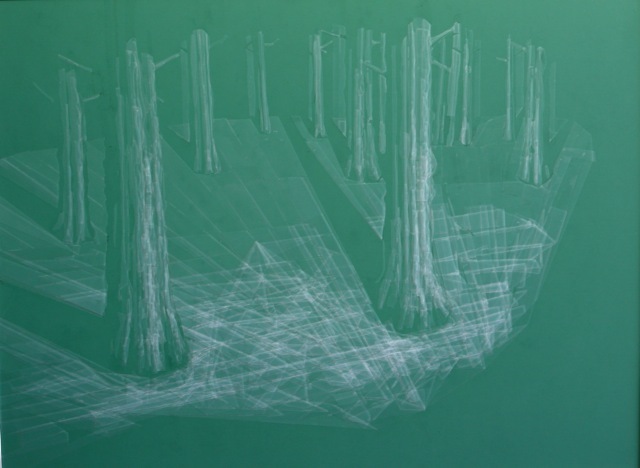 The overlapping tape creates opaque lines to form a wooded landscape. 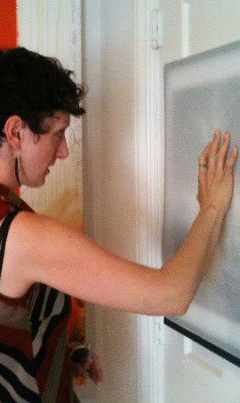 According to exhibit organizer Pierz, the Scotch tape art intrigues and engages visitors. 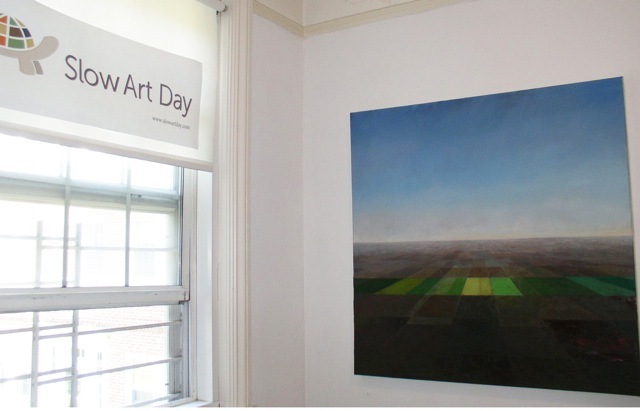 Other works in the Slow Art Day room include a more traditional landscape oil painting and two abstract works. 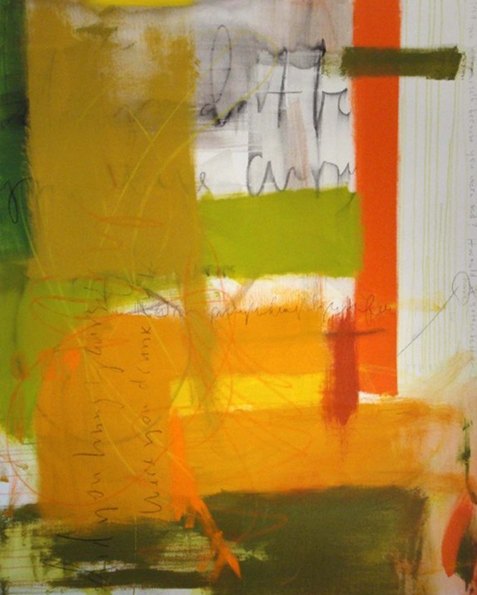 The two abstract works share an interesting connection. 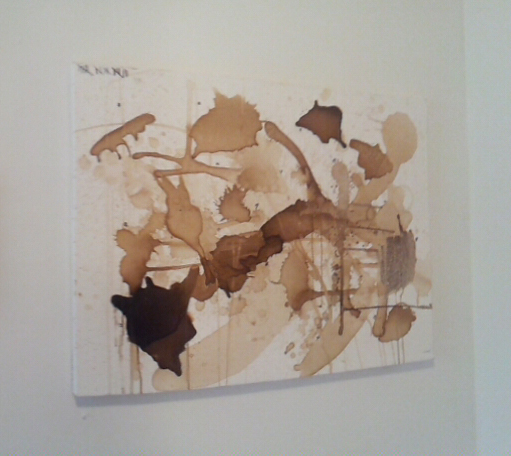 While one is a painting and the other is made up of coffee stains, each creator made their respective pieces via a slow process where they worked out personal issues while slowly creating their art over many days. The final artwork featured is by newcomer Colleen Blackard, who creates densely rendered, representational works in ball point pen. 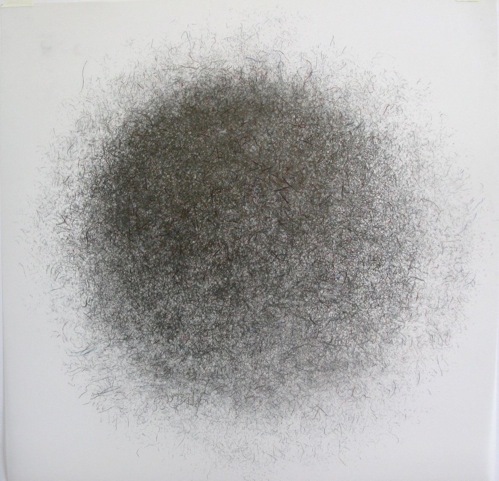 The piece selected for the Slow Art Day room is from her newest body of work where she covers the drawing with vellum to abstract the image. The viewer is then invited to press the vellum down to reveal the image underneath. The interactivity of the piece is appealing to slow viewers, most of whom are surprised by the fact that they get to touch art. This well-attended art fair runs on Governor’s Island in New York City throughout weekends in the month of September. If you’re in the area, stop by for a unique experience—and make sure you slowly visit the Slow Art Day exhibit.